All eyes are not on USD sophomore August Holmgren. In fact, when the 2017-18 Intercollegiate Tennis Association rankings were released last year, barely anyone noticed that he was the only San Diego-based college tennis player to crack the top 100 in the Division I singles rankings (men or women). But some are watching. 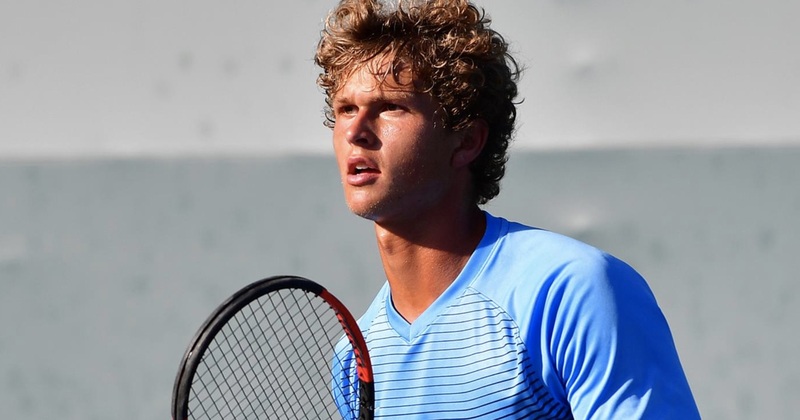 The 6-foot-1-inch-tall right-hander was 61st in those year-end rankings–a huge accomplishment considering he was a European clay-courter competing on U.S. hard courts. As the current college tennis season is nearing its end, Holmgren should feel pretty good about his year so far. The Torero is 21-12 in his singles season, and 12-6 with doubles partner Joel Gamerov. The Toreros have another stellar on-court weapon in junior Gui Osorio, who is 21-6 on his current singles season, and 17-10 with doubles partner Nico Borter. As of April 9, Osorio is 57th in the ITA singles rankings—the only San Diego Division I player to break into the top 100 this year. Neither Holmgren nor Osorio is American born. Holmgren hails from Espergaerde, Denmark, and has competed internationally, including as a junior in both the 2015 and 2016 Davis Cups. 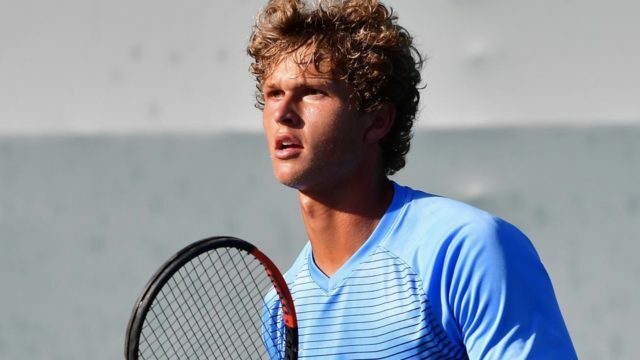 He came to San Diego ranked number 1 in the Danish juniors, fourth in the Danish men’s, and was the 83rd-ranked junior in the world at the time, according to the International Tennis Federation. Osorio is from Portugal, and was wooed by several U.S. colleges, including Texas Tech, Texas A&M, Wake Forest, and Mississippi State. He chose USD because of “the great city and belief in the USD tennis program and coaches,” according to his college bio. It’s certain, USD is glad to have them both in its arsenal.